Original Cavemantraining, featuring Taco Fleur on a mountain in Spain with two kettlebells. 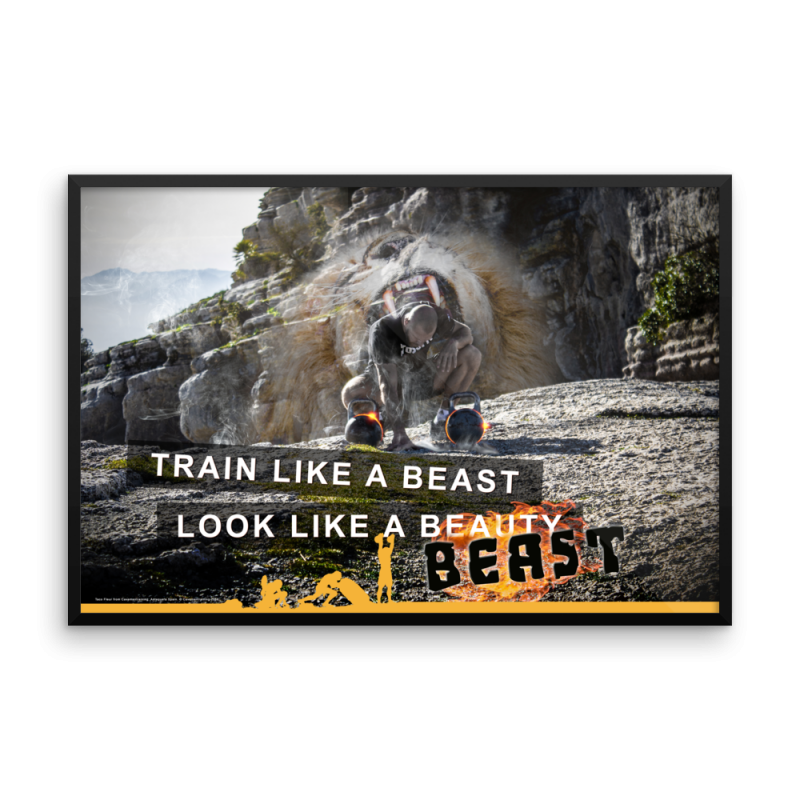 Quote: Train like a beast, look like a beauty BEAST. Also available as matte, museum-quality poster printed on durable, archival paper.